Big Sandy Community and Technical College is dedicated to providing you with a high quality, affordable education. We believe that everyone should have access to higher education and we offer a range of options to assist you in achieving your goals. Through the offerings of federal and state grants, work-study opportunities, loan programs, scholarships and payment plans, students are able to obtain the education they desire. If you're planning on student loans to help pay for your KCTCS education even if you already have a loan some recent changes to the law affect you. These changes are good news for student loan borrowers, but they do require you to take some steps in order to receive your loans. Read all about it here. What does a year at BSCTC cost? 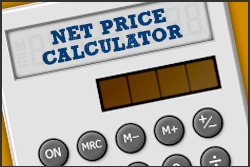 Our Net Price Calculator can act as your guide and give you an idea of what similar students paid for BSCTC in a previous year. This is only an estimate meant to help you in planning for college. So, how does this work? Well, the amounts are based on information you provide, then the calculator compares your information to the actual awards received by in-state, full-time, first-time students during the 2014-2015 academic year. 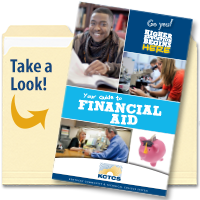 Remember, this estimate does not mean you will receive the same financial aid awards. Those are subject to change based on a number of factors. You should use this tool to get a general idea of what your college cost could be. If you have questions, just ask. We're happy to help.